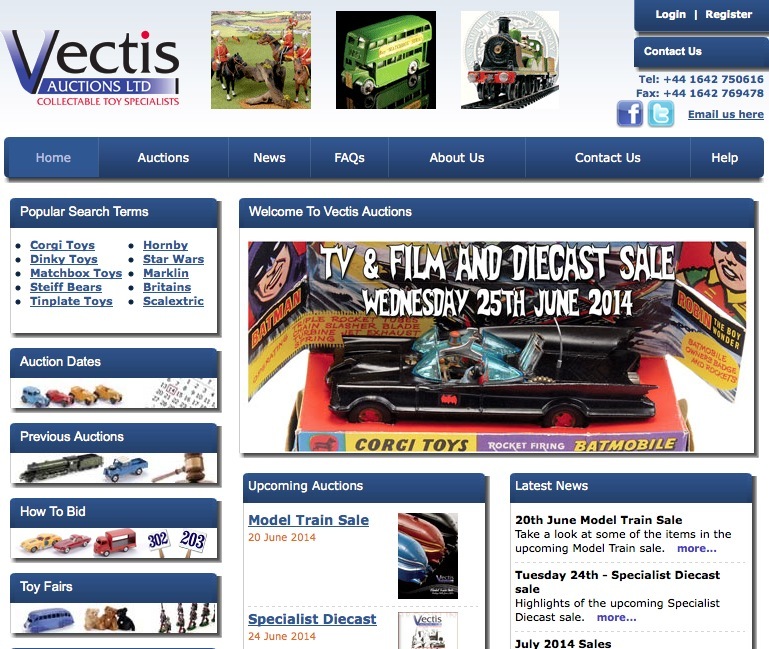 I’m often brining you the latest lots for sale on eBay or at Bonhams auction house, a mix of costumes, props and behind the scenes memorabilia. 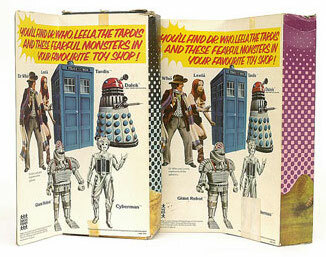 But I recently came across a specialist seller of collectible toys, and Doctor Who regularly crops up. 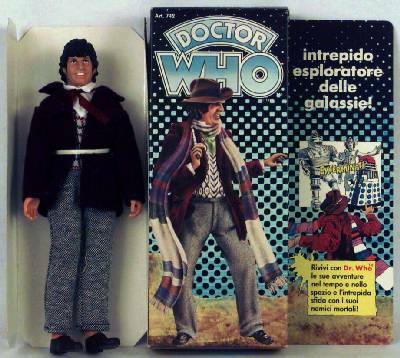 What caught my eye was the iconic Denys Fisher Tom Baker action figure - which I remember owning myself at the time. 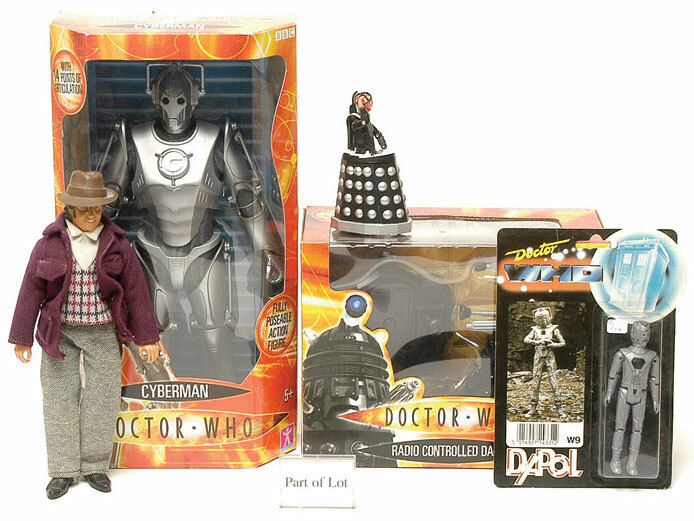 The reason I’m interested is that a number of the dolls have been sold down the years, dating back to 1999, well before the return of Doctor Who in 2005. Some are boxed; some are grouped with other items; some have times missing, such as scarf, hat or sonic. 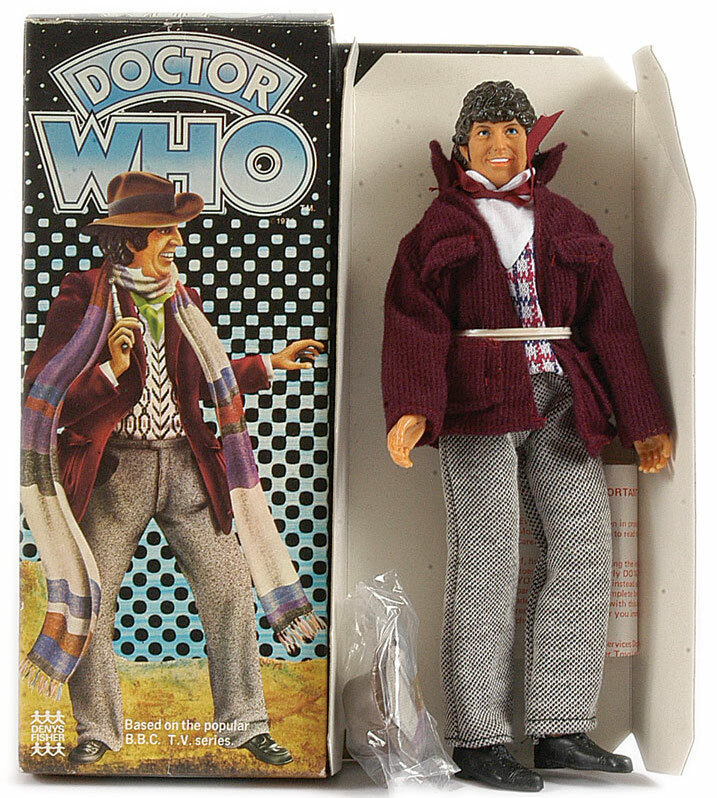 Harbert Doctor Who figure, depicting Tom Baker complete with scarf, although is missing hat, otherwise Excellent within Good original box. 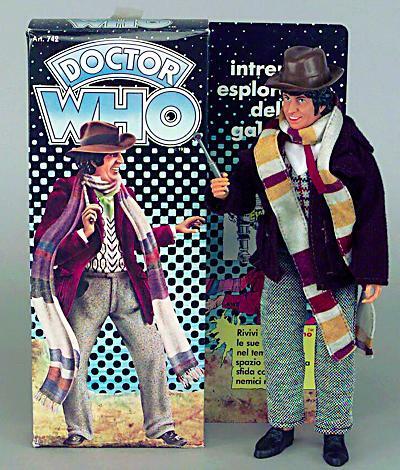 Denys Fisher Doctor Who figure, 1976 issue, Tom Baker figure, dressed in original clothing complete with scarf and hat which is still factory sealed within original plastic, figure is retained upon inner packaging and is Mint complete with mailing leaflet within Excellent box. 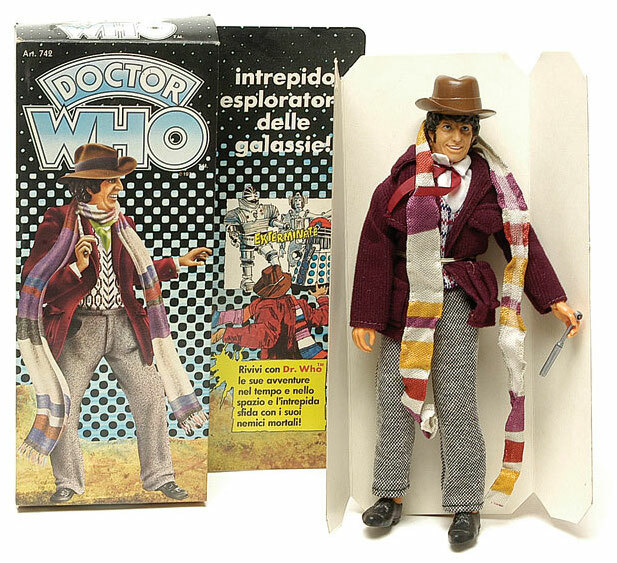 Harbert Doctor Who Tom Baker figure, Italian issue, Near Mint to Mint within Excellent Plus to Near Mint box. 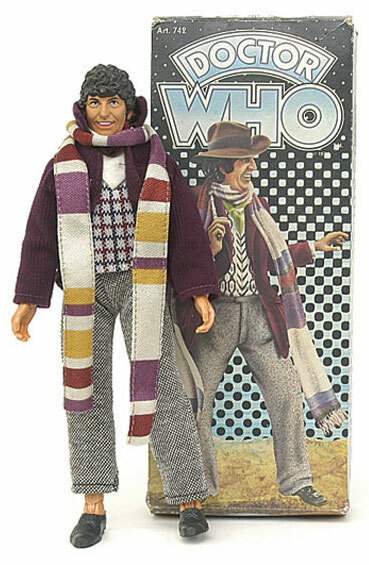 Denys Fisher - a pair of "Dr Who" to include - (1) Leela - overall condition generally Good Plus (although missing some accessories) in Good (although slightly grubby box) and (2) The Doctor - overall condition Good Plus (although missing hat, scarf and accessories in Fair but complete box. 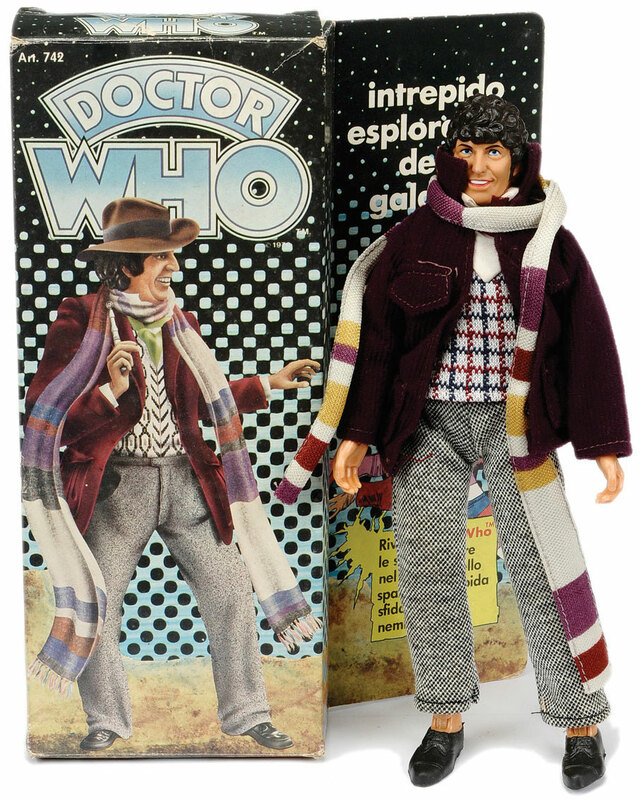 Harbert No.742 "Doctor Who" 8" poseable figure complete with scarf (although missing hat) - overall condition is Excellent Plus in Good Plus picture box. 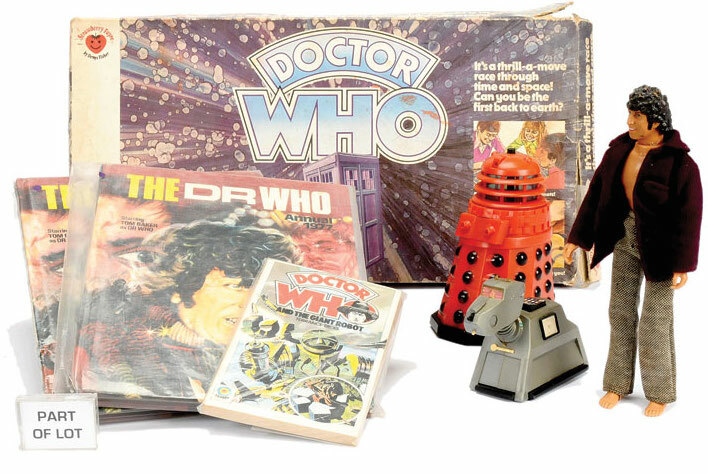 Harbert No.742 "Doctor Who" 8" portable figure - Mint including inner card packing, outer Italian box is Near Mint.